Bagels are great but I’ve found myself wishing for something better in D.C. So, I gave up on trying to find one similar to my old Chicago neighborhood Beans & Bagels and I’ve decided to make my own. Now, I’ve searched high and low for the best recipe to make my bagels and I settled on Emeril’s recipe (figured I can’t go wrong with him!). Surprisingly, bagels are super easy to make. If you can make bread, you can make these beauties. I didn’t follow Emeril’s recipe exactly but my bagels came out chewey with a nice crust–nothing soft here and fluffy here! 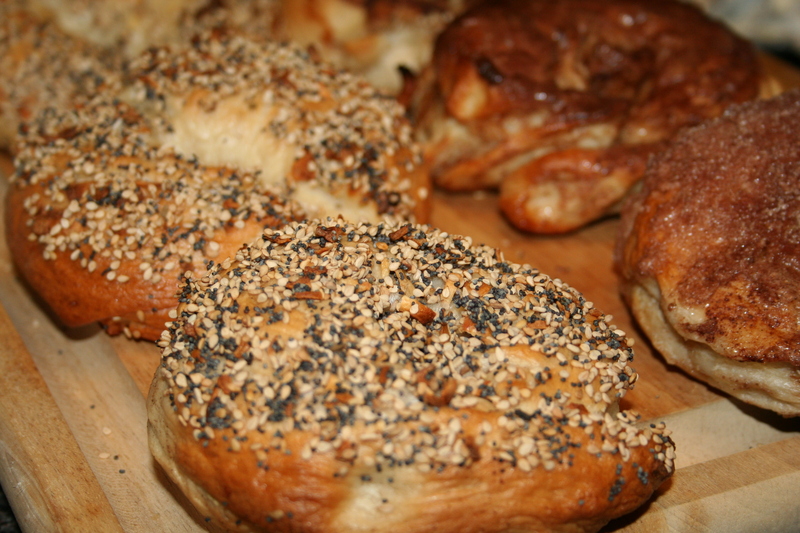 I halved the original recipe to make a smaller batch, which included half everything bagels and half cinnamon sugar bagels. They were amazing! So, you you want to give it a try? I know I’m certainly not going back to buying bagels after this recipe…unless I move back to live all of one block from a B&B. For all of my bread recipes, I whip out my beautiful Kitchen Aid Stand Mixer. 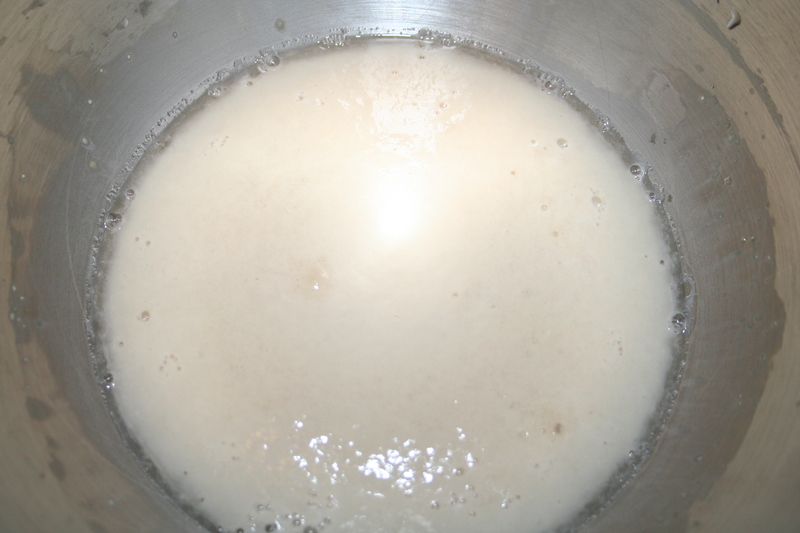 I start by combining the 110 degree water, with sugar and yeast. Let it stand for 5-10 minutes or until it is white and fluffy. Then, you add in the 2-3 cups of flour at the rate of one cup at a time. Make sure you use your dough hook! Once it is combined and dough-like, its time to get to kneading. You should knead your dough, adding in another cup at 1/2 cup at a time for about 5 minutes. It should be very stiff and not at all sticky. 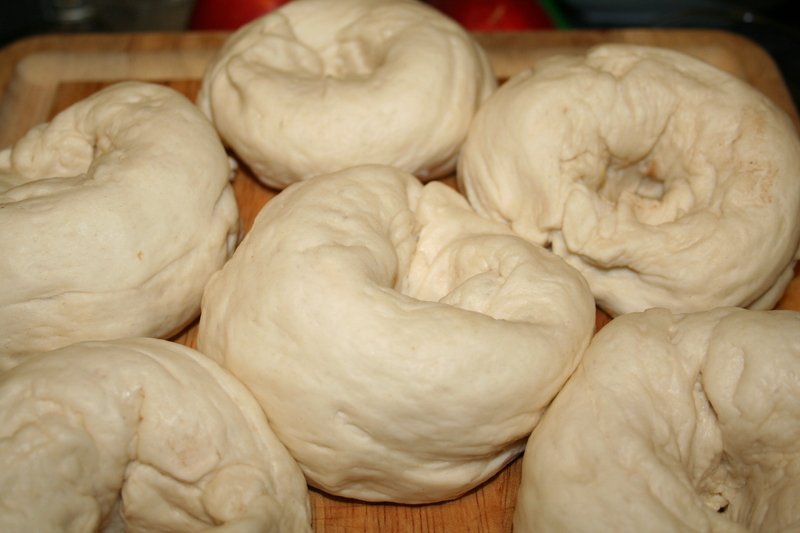 If you want a chewier bagel then knead the dough for an extra minute or two. Then you grease a bowl with one teaspoon of oil, flip it to coat it, cover it, and let it rise for an hour. 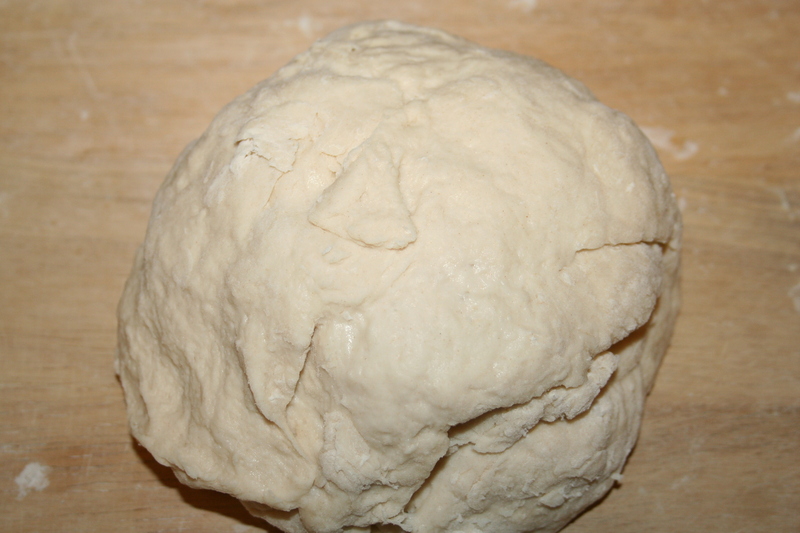 Once your dough has risen put it on a flat surface and punch down on it. Divide your dough into 6 pieces. Form each piece into a ball. Roll it out into a 4-5 inch log and join the ends together. Put them on a very lightly greased surface, cover, and let it rest until risen, about 20-30 minutes. This is when the fun begins. Go ahead and pre-heat the oven to 400 degrees. 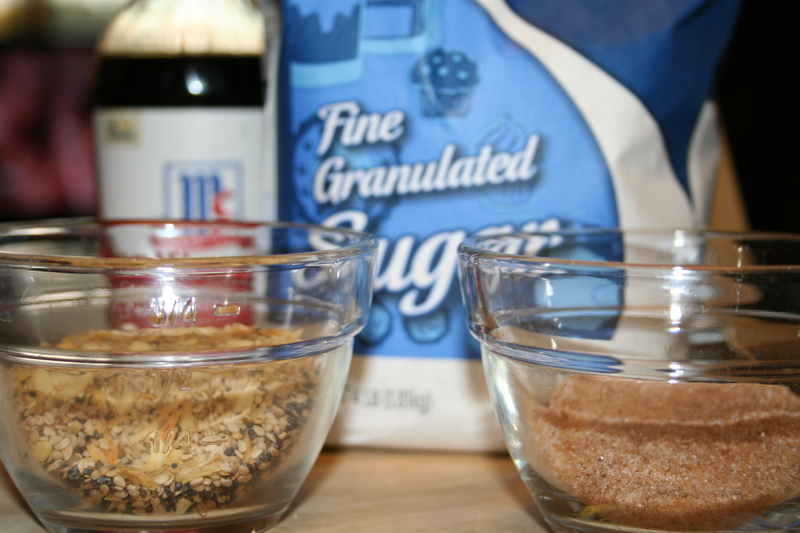 Combine 12 cups of water and the remaining tablespoon of sugar and bring to a boil. You will then place the bagels (2-3 at a time), in the boiling water and let them boil on each side for 30 seconds to one minute. Then, you coat your bagel with your choice of topping and place on a greased pan. Let them bake for about 20-30 minutes. Mine took 25 minutes. Let them cool. And, enjoy! You can also make the bigger batch and freeze your bagels. Don’t they look great? Now, give them a try! This looks hard! How long did it take start to finish? IMPRESSIVE. Hi Holly! Actually not that hard. But, it does take some time. I think it took me about 3 hours–most of that time was waiting for the dough to rise though. Definitely a weekend project but totally worth it!